“You can go to heaven if you want, I’d rather stay in Bermuda.” –– Mark Twain. The alluring island of Bermuda is a British overseas territory, renowned for its warm turquoise blue waters and pristine fine white sand. You can sink your feet into it as you stroll along various stunning beaches that make up the fishhook shaped island’s distinctive shoreline. Bermuda may be petite in size at a mere 22 miles long and approximately a mile across, yet it boasts an array of top notch beaches, fabulous water sports, luxurious hotels and superb dining. The island evokes a longing to bask in the sultry sun, breathe in salt-water air and stare aimlessly at the divine vistas that greet you at every turn. Bermuda offers serene seaside towns, one of which is steeped in 400 years of history. 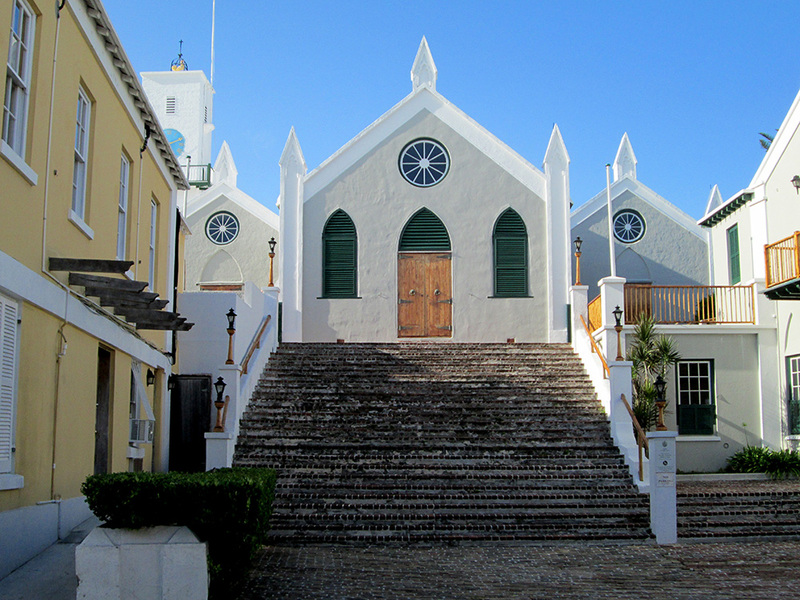 The town of St George’s, has been recognized as a Unesco World Heritage site. It is home to St Peters church, the oldest Anglican church in the Western Hemisphere, and recently appointed “Their Majesties’ Chappell ” by Queen Elizabeth The Second. Scooters whizz by and yachts of all shapes and sizes lie idle in the harbour of Hamilton, Bermuda’s capital city. It is common to see businessmen chatting on the street corner, wearing typical Bermudian attire, which consists of Bermudian shorts, high socks, loafers, and a polo or dress shirt; a touch of British formality mixed with the island’s laid back feel. What better way to experience it all than with a stay at the splendidly appointed The Reefs Resort and Club, which has been offering up over sixty years of hospitality? It is a favourite spot for both locals and tourists, with an outstanding reputation and a superb location on Bermuda’s south shore. The Reefs is surrounded by awe inspiring views, swaying palm trees and a private beach where coral reefs jut out away from shore, offering magnificent snorkelling opportunities. Keep in mind when you arrive there are no car rentals on the island, but fortunately, scooter rentals are available on site at the Reefs resort. A stay at the Reefs is comfort and class rolled into one. Three restaurants lie on the property. There is the classy Roystons, which offers delectable brick oven pizzas, and boasts an impressive wine room. Ocean Echo has an extensive terrace for fine dining, and views that make you want to linger after a satisfying meal. The breakfast buffet in the morning is a divine smorgasbord, serving up eggs benedict, omelettes and fresh waffles with whip cream. Lastly, Coconuts provides beach side dining with the ambiance of lanterns lit up on either side of the walkway towards the restaurant. In the summer months, lanterns are placed across the beach and tables are set out on the sand, creating a wonderfully romantic vibe. Indulge in the lightly seared Bermudian rockfish, which is a local favourite. 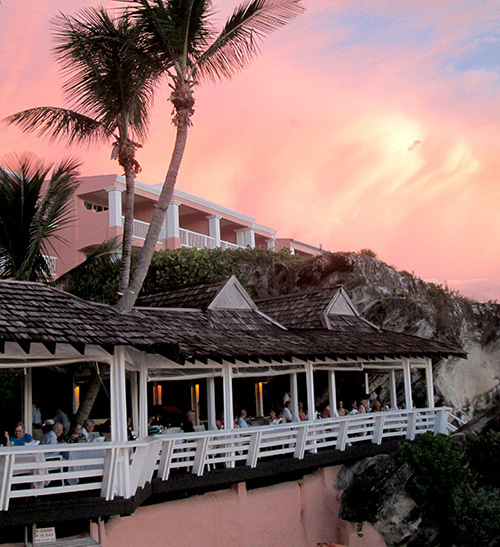 While there, one must partake in Bermuda’s trademark drinks – the Dark and Stormy and the Swizzle. Both are infused with Bermudian Black Seal Rum. At the end of your meal, be sure to save room for the delectable homemade Nunis Ice Cream Sandwich. Return to your cliffside room (other room options are available) and open the door to tropical fish floating around on the TV screen, which is part of the turn down service. Pillows are primped; mint chocolates are laid on the beds; and each night, a list of the week’s weather and the resort’s entertainment is printed out and left on your bed. Relax and listen to the ocean lapping up against the cliffs, and feel the balmy breeze against your skin. Wake up and snorkel along the reefs on the private beach. You might stumble upon colourful Parrotfish, or the little black and yellow Sargent Majors that swim happily about. Complimentary use of snorkel gear and paddle boards are included as part of your stay at the Reefs. No stay is complete without trying a service at The Reefs’ La Serena Spa. Vast ocean views enthral you as you wait for your services. Try the super-hydrating aroma hot stone massage, which is performed with the superb Elemis Oils line from Britain. Its mix of franchipani, rose, and coconut oil leaves the room smelling like a tropical oasis. Be whisked away by the heat of the volcanic stones and the handwork of the massage, while balancing your chakras at the same time. With a healthy sun kissed glow and restored body, you will leave this stellar resort with a long lasting impression. Tucked away at the other end of the island is the picturesque town of St George’s, the oldest continually inhabited English settlement in the new world. What once was the former capital of Bermuda is now a piece of magic, you feel like you are stepping back in time when you arrive. Several heritage homes line the side streets, and colourful hibiscus flowers swoop down along the walls. Atop the hill, just a few minutes walk from the town centre, lays the esteemed St George’s Club. It is a classy breath of fresh air, and resonates old world charm. 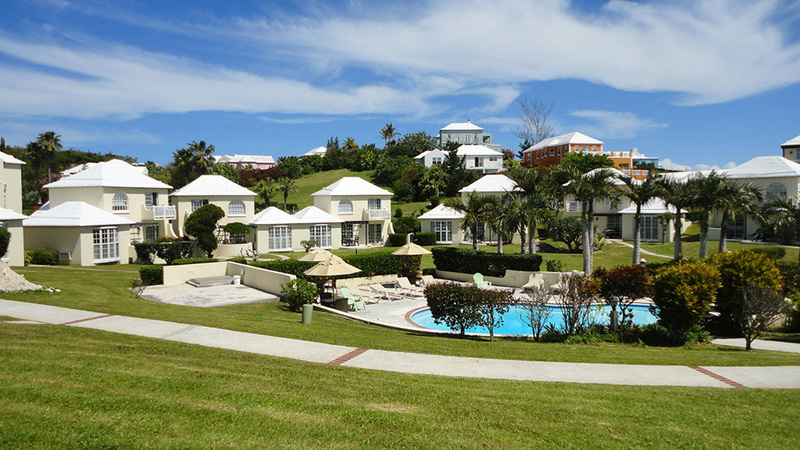 St George’s Club offers quaint one level house rentals, referred to as cottages. Spacious one and two bedroom units are available. They feature all the amenities and large Jacuzzi style bathtubs. Three pools (one of which is heated) are on the property and are open all year round. The sound of tree frogs lulling you to sleep at night is included. Just a short jaunt from the cottages is Griffin’s Restaurant, which offers fine dining and exceptional tuna tartare and rockfish ceviche. For a completely different dining feel, The Beach House, which is just off the property, has a fabulous beachy vibe. It’s almost like hanging out in the Tom Cruise movie, Cocktail. 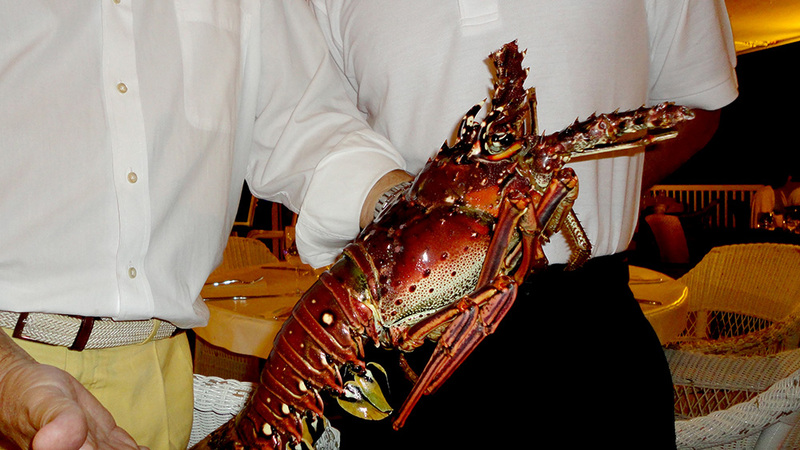 The Bermudian lobster (in season until march) looks different from the Atlantic Lobster, yet it is uniquely mouth watering in its own right. Getting there just before sunset is a must, as this part of the island offers optimal views over the ocean and jaw dropping sunsets that cast hues of purples and reds across the sky. St George’s Club offers free shuttle service to and from the beach house. While in the Historic town of St George’s, one must visit Lilly Perfumery. It is set inside a seventeenth century home, and all perfume is made on site. 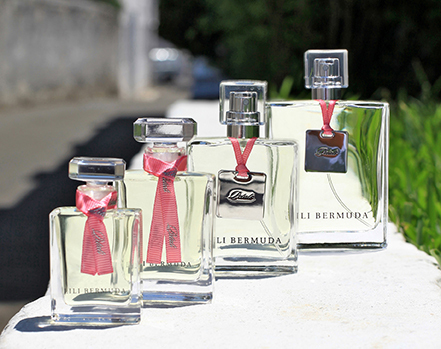 The perfumery is surrounded by a stunning garden, and offers a wide variety of tantalizing perfumes and lotions made from wonderful fragrances like oleander and calypso. When you are finished shopping, you can partake in afternoon high tea in the tearoom. The town of St George’s offers so much to see that one can meander through its streets for hours. Stroll the town centre and walk along Water Street towards the Maritime Museum. If your are finding yourself getting hungry, then you must try Art Mel’s, a casual dining spot and local favourite. Mel makes everything himself, and he is known on the island for the biggest and best fish burger, which is often made from locally caught fish like snapper. Bermuda is truly a utopia. From culture and nightlife to the beach scene and outstanding hospitality, this is a small island with a big heart, and is not to be missed at any time of year. You will leave with one thought in mind — when can you get back for another visit?